I was looking to try something new. 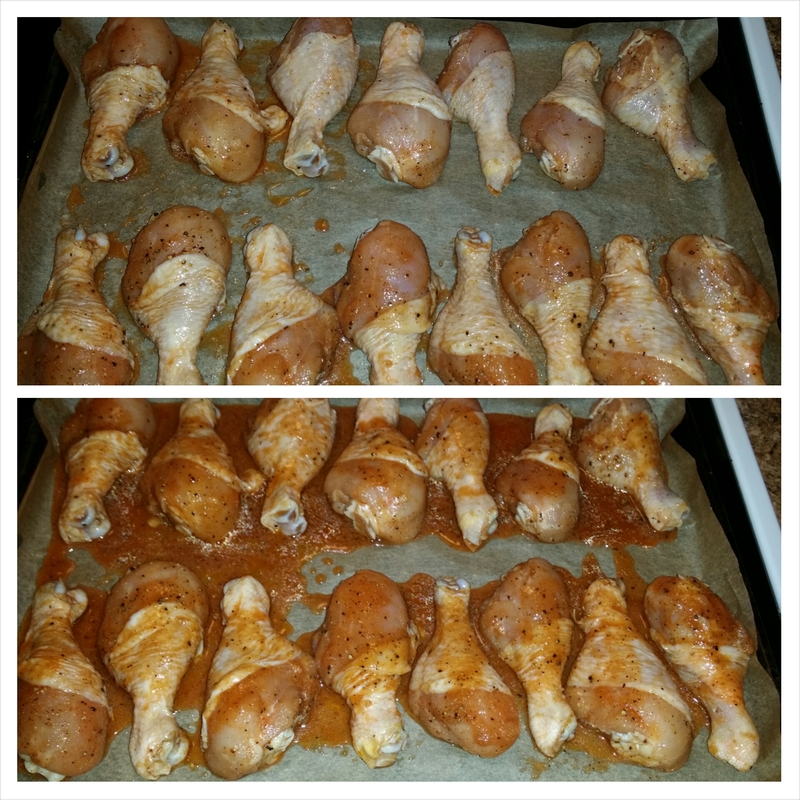 I realize that when it comes to cooking…..I often try something new, last minute. Thankfully it works out in my favor. 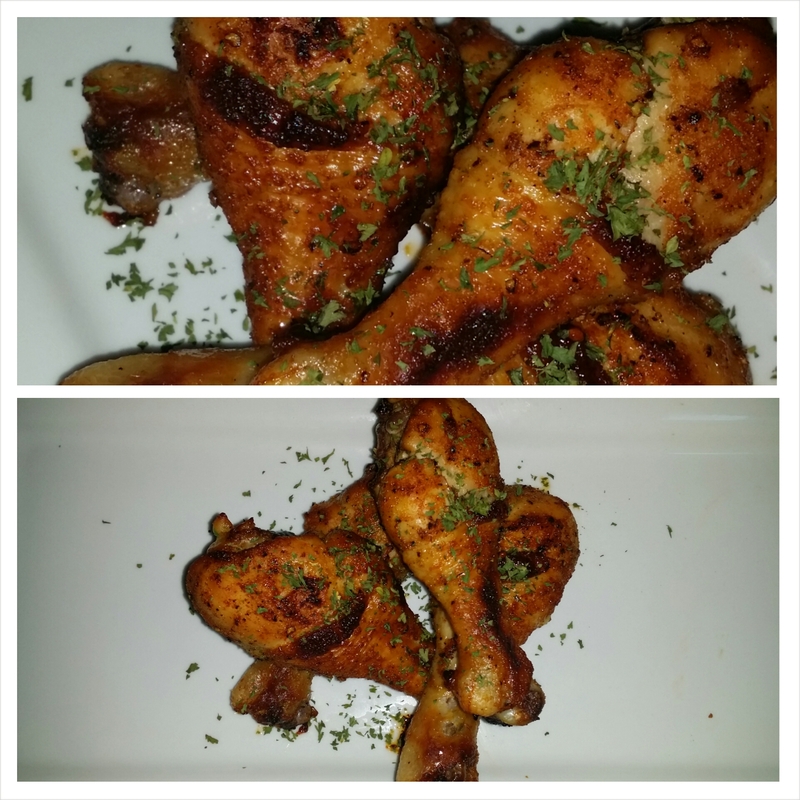 Now it’s time to share but before I do……this recipe had the house smelling wonderful. When it was done cooking and cooled a bit….I had the family do the usual taste test. Can I just say soooooo delicious? Juicy and tender with a hint of sweetness and hint of a spicy kick. OK, so let’s get cooking so you can see for yourself. 1. Soak chicken in water and 1/2 Cup of vinegar (white or apple cider vinegar.) For 20 minutes if it’s already thawed and if frozen for about 1 hour. Next drain, rinse and dry. 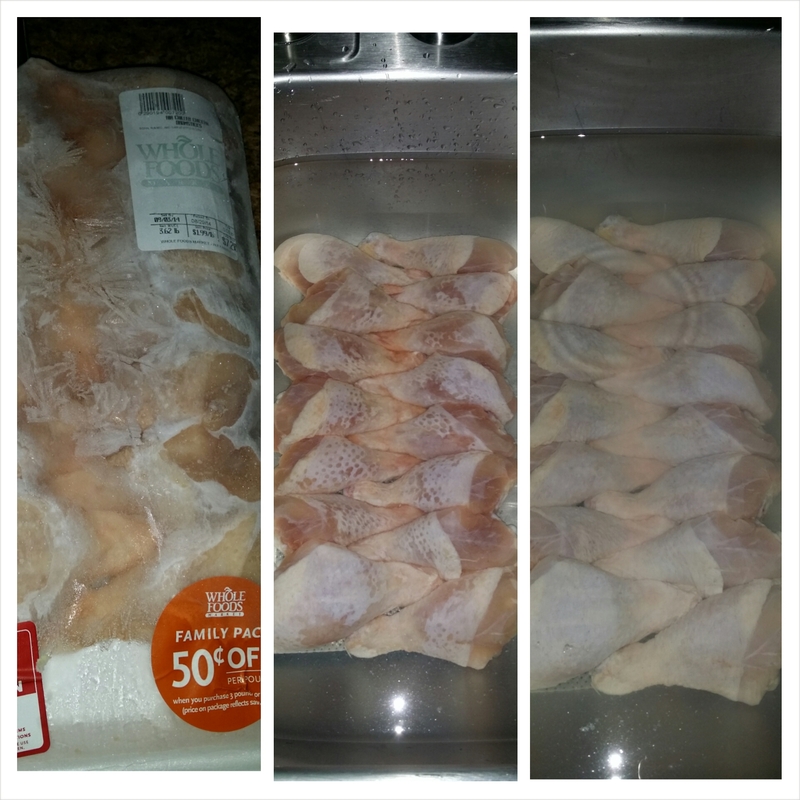 ( I soak my chicken in vinegar for 2 reasons, it helps to tenderize and clean the chicken. 2. Pre-heat oven to 425°. 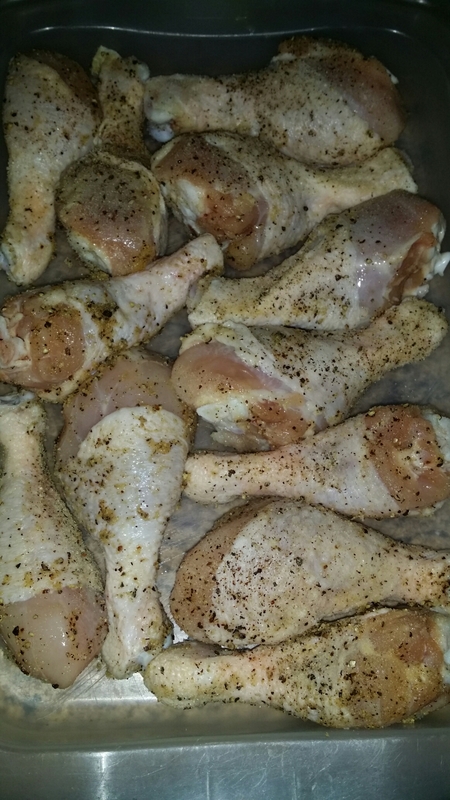 Season chicken with garlic, onion powder and black pepper. Place in a large bowl. 3. Mix together in a medium size bowl your Sriracha, Honey, Grape Seed oil, Amino Acid, and Sesame Oil. Pour over chicken, toss, to get every piece coated. Cover and place in the refrigerator to marinate for 30 minutes. 4. Place on a parchment lined baking sheet. Pour the excess marinade over you chicken. Bake for 45 – 50 minutes. When it’s done let cool and enjoy.